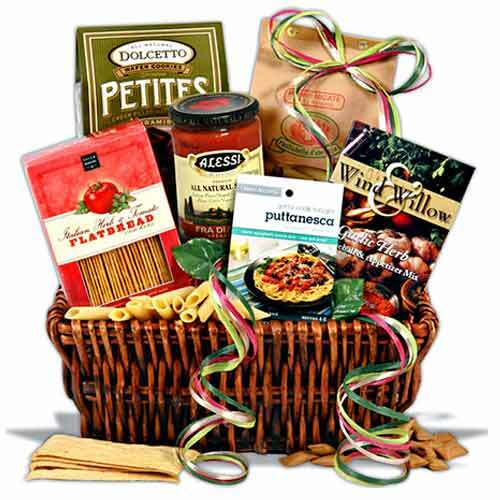 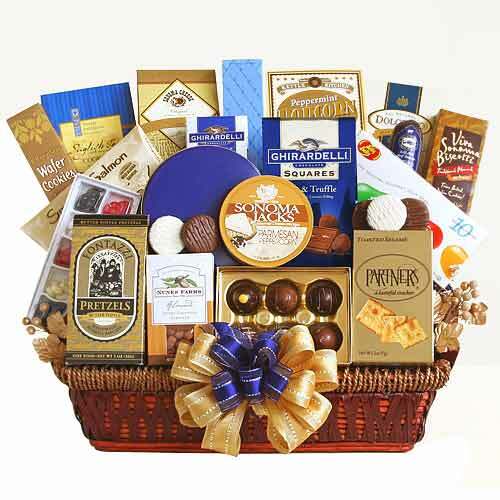 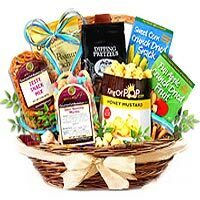 Uplift the moods while you are on a picnic with your close ones by adding to the moment, this Exquisite Holiday Celebration Gift Basket containing elements of fun, excitement and happiness. 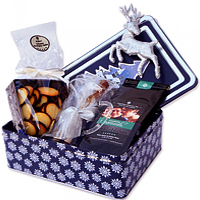 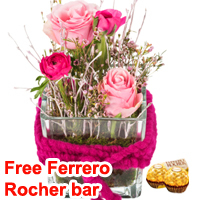 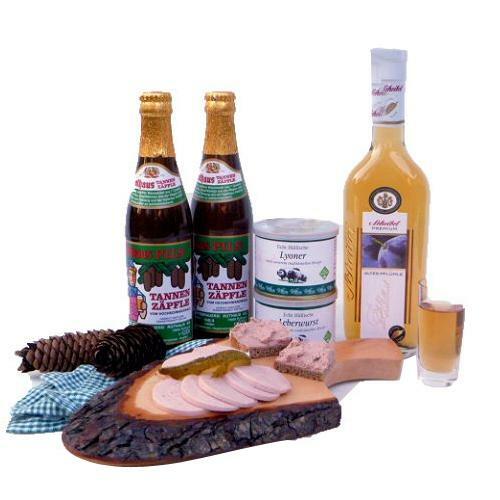 This classic Gift Hamper consists of 1 x Box Winter Almonds of 150 gr. 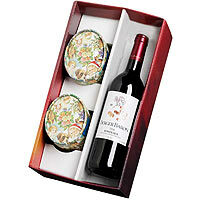 and 1 x Cream, 1 x 2012 / 2013Er Berger Baron Rouge, Bordeaux Baron Philippe de Rothschild A.O.C. 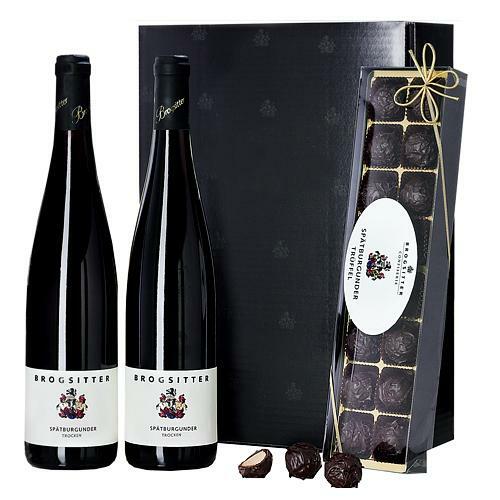 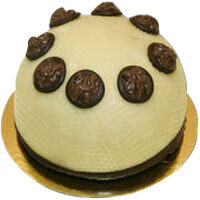 0.75 l and 1 x Box Cocoa Almonds 150 gr. 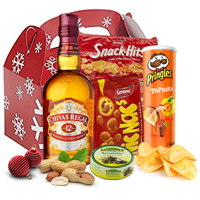 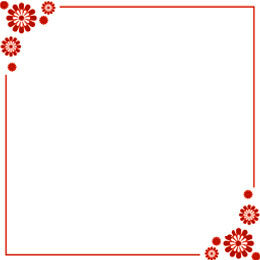 packed in 1 x Elegant Gift Box. 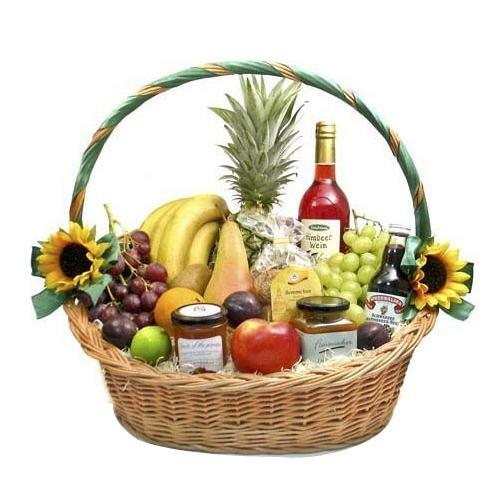 Note-In case of the short-term non-availability of an individual item, we reserve the right to replace the respective item with an equal or a higher value product.